This novel follows the fortunes of the mining community of Aberfoyle near Stirling, Scotland. Receiving a letter from an old colleague, mining engineer James Starr sets off for the old Aberfoyle mine. 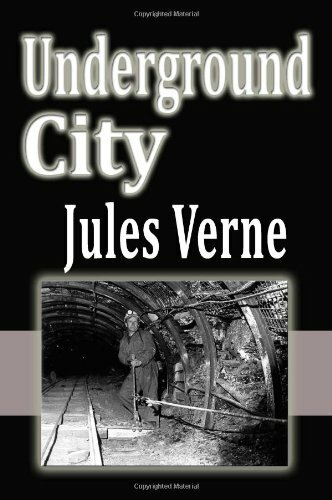 Starr finds mine overman Simon Ford and his family living in a cottage deep inside the mine; he is astonished to find that Ford has made a discovery of the presence of a large vein of coal. From the outset, mysterious and unexplained happenings start to occur around the main characters, attributed initially to goblins and firemaidens. This is a wonderful scientific romance, early science fiction melded with an epic dose of romantic adventure. A Princess of Mars is the adventure of John Carter, a Civil War veteran who unexpectedly find himself transplanted to the planet Mars. One of the most revered classics of science fiction, it has inspired, enchanted, and unsettled readers for decades. It is simultaneously an epic quest across one of the most unusual and brilliantly depicted alien worlds ever conceived.